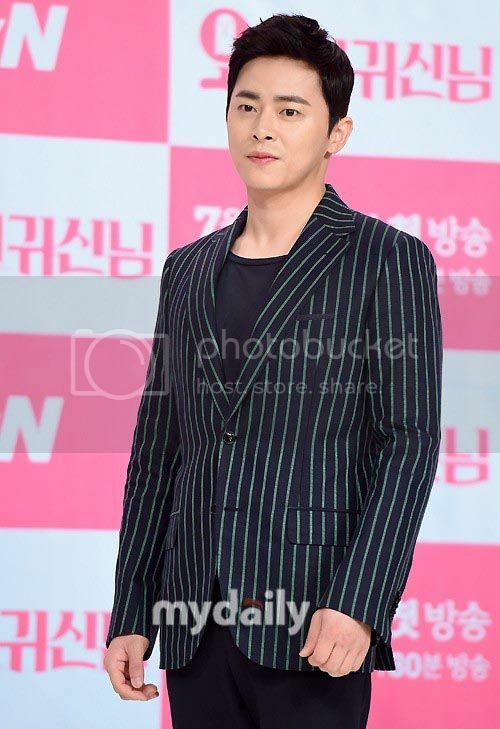 Oh My Ghostess premieres this weekend (yay), and the cast showed up to their press conference on the afternoon of June 29 to introduce the show, talk about their characters, and, of course, take pretty pretty pictures. 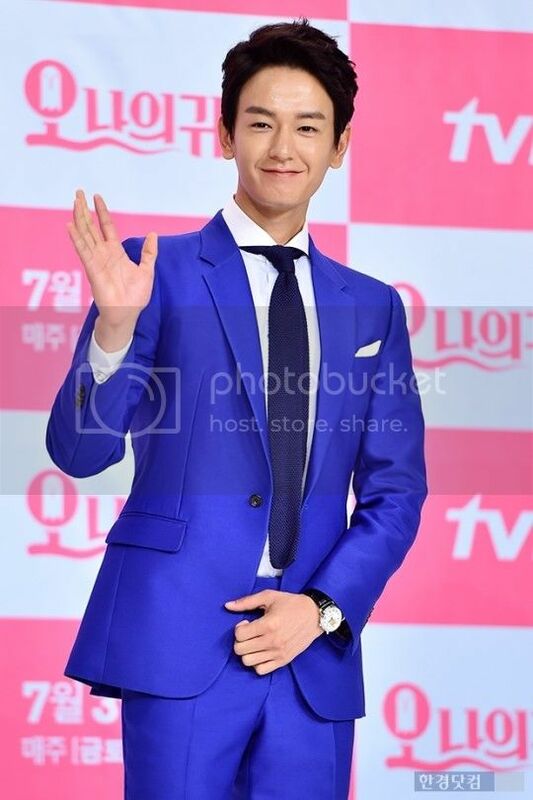 Among the many reasons this drama has been attracting pre-show buzz is the fact that this will be Park Bo-young’s first drama role in seven years—and really, even that last show wasn’t much, since it was a two-episode stint on 2008’s Strongest Chil-woo where she played Eric’s younger sister. She had a child-actress part in the 2007 sageuk King and I that she was praised for, but really, she’s a star because of her movies (Speedy Scandal, Wolf Boy). So interest is high to see her in a full-length TV series, and as the lead instead of a child role. She plays a timid assistant in a restaurant run by a hotshot chef (Jo Jung-seok), the crush she can’t speak to until she’s possessed by a lusty virgin ghost (Kim Seul-gi). It’s almost like she’s playing two characters since the possessed version is so different from the host character, and Park explained feeling nervous about that until she met with the director, who made her feel she could trust him. 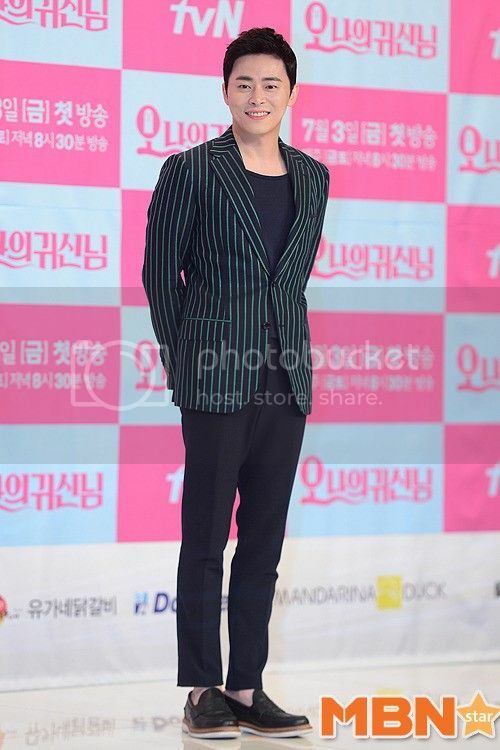 Im Joo-hwan plays Jo Jung-seok’s brother-in-law and a police officer, and I’m although he’s done a number of modern pieces, it does seem like his sageuk image is stronger. (See: Shine or Go Crazy, Tamra the Island, Frozen Flower.) 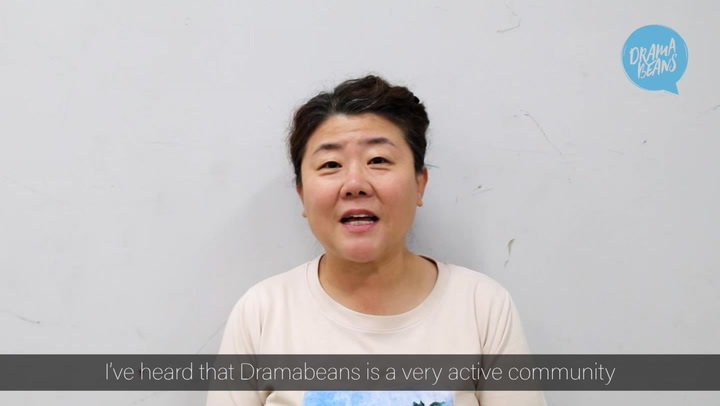 And although sageuk acting is usually regarded as more difficult than modern, Im had a different perspective, saying that in sageuk, the costuming and dialogue can sometimes help mask an actor’s weakness, while he finds the challenge of contemporary works to be making the dialogue and acting feel natural and relatable. 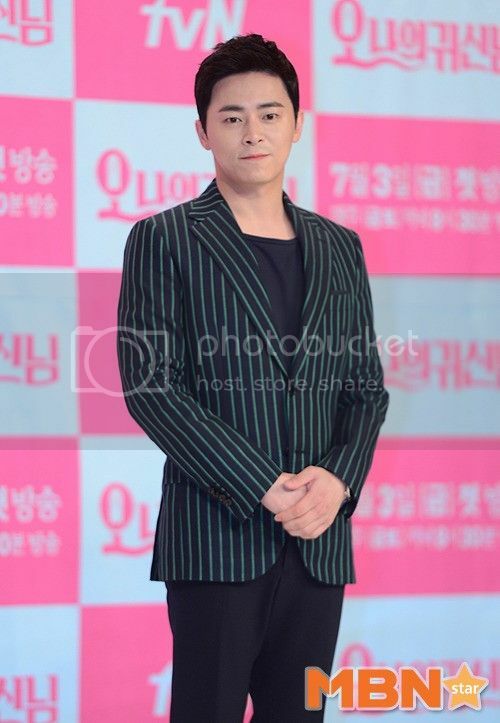 PD Yoo Je-won expressed some worries about ratings expectations, especially since his last drama, tvN’s wacky workplace rom-com High School King of Savvy, was a hit. He said it was impossible to not feel the burden of ratings numbers, but that his job was to not let those worries come out on set. His priority while shooting is to bring to life what the writers have created (both writers also penned Savvy), and to do his best to erase ratings concerns form his mind. Jo Jung-seok chimed in to say that PD Yoo has done a great job in that regard, because he feels good energy from him and has set a positive mood for the rest of the cast and crew to follow. 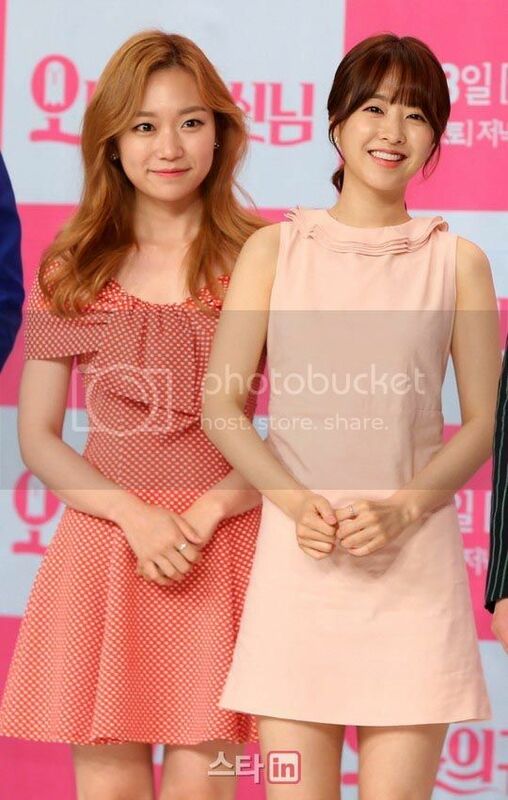 Oh My Ghostess premieres on Friday, July 3.
ha, Seul-Gi is strawberry blonde now? tehehe she could be my half-sister. I thought about that too, but it might also be that their characters have siblings that married each other. It airs so close to My Love Eun-dong... I will have to watch them live simultaneously then. Last time I did it with Producers and My Love Eun-dong which caused me miss some tidbits here and there, but I read recaps and watched them again with subs so it was all fine. Seems like many worth checking out dramas have been coming out steadily, I'm so glad. Indeed I am so glad. Happy having enough dramas that I enjoy (so far this year -yay). This is just so great. Yeah, there was a period of about two years during which I couldn't bring myself to really like any dramas so the stream of good dramas so far this year is such a relief. I enjoy this thoroughly. I'm still in a drought because the problem is that dramas start out good/decent then sharply drop in quality after a few episodes and I lose interest. I've been so excited for this dramas since the teasers came out! After watching Misaeng last year, all the dramas I've watched this year seemed smoother. First off with Healer which I have no words to describe how much I love it, then I liked Producers, and now with My Love Eun-dong, and it seems I will like this Oh My Ghostess too. Producers got me frustrated at the lovelines but other than that, I don't remember having hard feelings toward any dramas so far. Even the ones I didn't finish, it was more because I didn't have enough storage space, not enough time and didn't want to focus too much on dramas. Is my love eundong good? Still having second thoughts in starting the drama. My Love Eun-dong has the kind of classic feeling that I really like. If people didn't say it, I wouldn't even have known that it was a melodrama. Of course later on it has more angst and twist, but at first to me it was simply a romantic love story. The dominant feeling I got was warm and fuzzy, it comes from the beautiful and unwavering love between the two leads, therefore the sorrow and sadness didn't affect me negatively. It's always difficult for me to say whether a drama (or anything) is good or not to other people, since it varies greatly depending on personal taste. To me My Love Eun-dong is a total package, everything is superb from the writing, directing, selecting actors, the acting and chemistry that reflect on screen, to the tiniest detail they put in to support the storyline. I got drawn into it from ep 1 and it's the only drama I'm watching now, but I do see some people being indifferent to it so it's hard to say. My suggestion, as usual, is to check it out maybe 2 or 4 episodes then decide for yourself. I don't watch as much as other people, but at this point I seem to get the hang of knowing whether to spend my time on a certain drama or not. Something clicks and you just know. Oops, sorry for the long reply. I just want to say that everyone is different and it's hard to decide for other people. I can only talk about my own decision, that I'm watching My Love Eun-dong and I decide to watch this Oh My Ghostess as well, since it's a rom-com (right?) and they would balance well for watching together. Joo Jin Mo is everything. MLE is worth a watch if you like the melo-romance genre; there's enough humour to balance the melo and angst even though the angst predictably gets heavier in the second half. I think both Joo Jin Mo and Kim Sa Rang hold themselves very well, and the rest of the cast too. Kim Sa Rang is pleasant to watch, I adore her simple and elegant style, and her acting is just as good as her Secret Garden days or maybe even better - or she's the main lead now so she could shine more. And Joo Jin Mo with his intensity and voice is just... so alluring. Whoever cast these two needs a praise. And yes, I totally agree with you that it has the classic feel but it isn't outdated or repetitive. The writer seems to break all the rules wonderfully, her creativity is absolutely plausible. Like you, I also could hardly wait for next episodes. I cannot wait for this !!! Aww so cute! They high-fived after the first kiss? Cute! 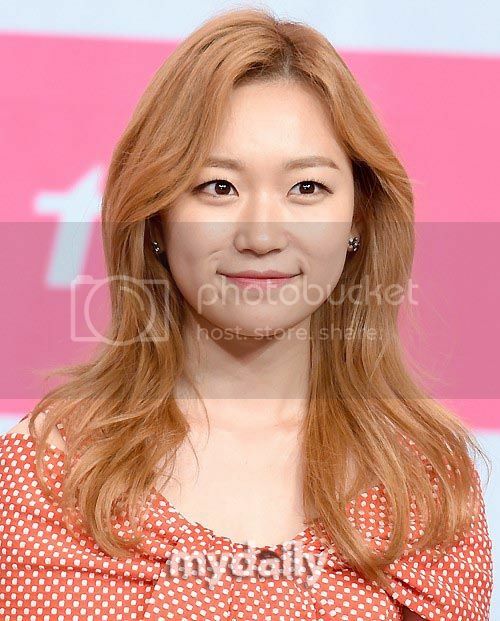 BTW, Kim Seul GI looks gorgeous. Yup, a bit like Gong Hyo Jin. The girls are gorgeoussss! I love the outfits. Regarding KSG's acting, I think she falls in the same category with Cha Tae Hyun, both choose to excel in what they're good at and make the characters suit them, not the other way around. It can be hit or miss. Whenever I watch CTH's movies/drama, I always have the same reaction as jb's to KSG above. "Ah, of course this is Cha Tae Hyun. No one can play it like him." KSG still has a long way to go, so I hope this one is good since the casts are great and the team is acclaimed. Perfect Kim Seul-gi is perfect. Love her dress. Please give a leading role to my baby soon. Preferably opposite Park Seo-joon. Imagine the deadly cute. i need kim seul gi on my screen like now!! somebody please give her a leading role after this..
On a side note, I know it's called "finger hearts" but when will this trend stop? I just see people asking me money. I don't have any, stahp! Oh, is that what they were doing? I thought it was some good luck sign, like a "we makin' money yo" sorta thing. The photo where Jo Jung-seok and Park Bo-young did it was cute though, especially the way he looked at her. Made me think their chemistry on screen will be believable. That suit works really well for IJH! I find Kim Seul Gi so attractive. That hair color really suits her. Everytime I see JJS, my head keeps coming back to Shi Kyung The Earnest. Oh my gawd that dress, Kim seulgi looks gorgeous in it plus I would absolutely buy it. The dress that PBY is wearing its not really bad but it doesn't flatter her figure plus it makes her look like a high schooler. Totally Off topic but do any of you watch that singing variety show Masked Singer on MBC? Kim Seul Gi came on it and wow she really sings well, I hope she gets a few musical offers! HaHa! That's how every first kiss should end, imo. That's awesome. Park Bo Young in a drama? Yaaaaaas! !